Several radiotracers have been used for assessing cell death, whether by necrosis or apoptosis. 99m Tc glucarate, which has initially been reported to be concentrating/accumulating in myocardial infarction or zones of cerebral injury, has also shown some tumor-seeking properties in a few preliminary studies. 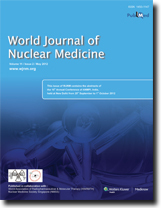 Under International Atomic Energy Agency (IAEA)'s coordinated research program, we report here the standardization, quality control, and clinical evaluation (detection, evaluation of response, and comparison with 18 F Fluorodeoxyglucose) of this tracer in well-characterized lung cancer and head neck malignancies in a single-arm prospective observational study. 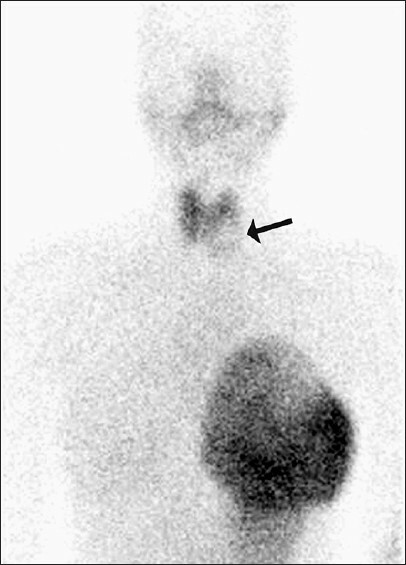 Forty-seven patients (29 inoperable lung carcinoma and 18 head and neck malignancies) were prospectively enrolled and underwent 99m Tc glucarate imaging [whole body planar and single-photon emission computed tomography of the region of interest] 4-5 hours after injection of 20 mCi of the radiopharmaceutical. Excellent 99m Tc glucarate concentration was noted in the target lesion in lung cancer and head and neck malignancies. The sensitivity was found to be better in lung cancer. Avid concentration of tracer was seen in the metastatic sites. During response evaluation, the glucarate concentration correlated well with the clinical and other radiological findings. 99m Tc glucarate showed avid concentration of tracer in the tumor, suggesting it to be a potential tumor imaging agent which can be used for detection and assessment of therapeutic response in malignancy. The objective of this scientific work was to evaluate the extent and severity of perfusion abnormalities on myocardial perfusion scintigraphy (MPS) at rest and with sublingual nitroglycerine, in relation to the presence and anatomical location of collaterals demonstrated by selective coronary angiography (SCA). Twenty-eight patients with unstable angina underwent selective coronary angiography. Eighteen of them were diagnosed with myocardial infarction (MI) 2-15 days prior to examination. Presence or absence of collaterals was noted, with anatomical depiction of donor and recipient arteries as well as evaluation of degree of collateral flow. As an inclusion criterion, collateral flow had to be grade 2 (partial epicardial filling of the occluded artery) or 3 (complete epicardial filling of the occluded artery) in accordance with the Rentrop collateral flow classification. Flow was noted as follows: Complete antegrade (CA), complete retrograde (CR), partial antegrade (PA), and partial retrograde (PR). Myocardial perfusion scintigraphy using Tc-99m Sestamibi at rest and after sublingual administration of nitroglycerine was performed according to a 2-day protocol. Perfusion abnormalities, which were quantified using the 20-segments model and visual 5-point system (0, normal perfusion; 4, absent perfusion), were analyzed according to donor's and recipient's territories, as well as territories with limited or without collateral flow (PA/PR, grade 0-1 flow). A total of 84 arteries were analyzed, with stenosis in 79 of them. Arteries were divided into three groups: Donors (group I), recipients (group II), and arteries with limited or without collaterals (group III). In group I, there were 28 donor arteries, with mean severity of stenosis 71.3 ± 0.65%. In group II, there were 36 recipient arteries and mean severity of stenosis was 94.8 ± 0.26%. In group III, there were 20 arteries, and all of them had either no or poorly developed collaterals (mean severity of stenosis 60.4 ± 2%). In 3 cases, 2 donor arteries gave collaterals to 1 recipient artery, while in 11 cases, a single donor artery gave collaterals to 2 recipient arteries, and in 11 cases there was 1 donor to 1 recipient artery. A total of 1120 MPS segments were analyzed (560 at rest and 560 after nitroglycerine). The number of segments in groups I, II, and III were 204, 242, and 144, respectively. Mean number of segments per donor artery was 7.2 ± 0.7, mean number of segments per recipient artery was 7.0 ± 0.3, and mean number of segments in the territory of arteries without collaterals was 5.5 ± 0.5. In the territory of donor arteries, the mean number of segments with normal, decreased, and absent perfusion at rest was 1.6 ± 0.07, 5.67 ± 0.07, and 0.6 ± 0.03, respectively. After nitroglycerine administration, the mean number of above-mentioned segments was 1.2 ± 0.07, 6.07 ± 0.06, and 2.3 ± 0.06, respectively. 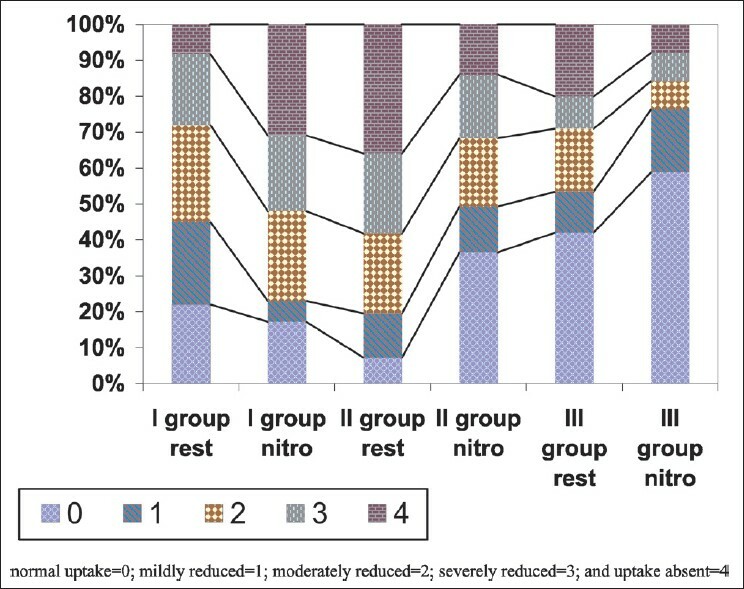 There was no significant difference in the mean number of segments with normal and decreased perfusion at rest and after nitroglycerine administration (P = 0.4). However, the increase of mean segments with absent perfusion that appeared after nitroglycerine administration in donor arteries was statistically significant in comparison to MPS at rest (P < 0.0001). In the territory of recipient arteries, there was statistically significant increase in the mean number of segments with normal perfusion from 0.5 ± 0.02 at rest to 2.7 ± 0.06 with nitroglycerine (P < 0.0001), decrease in mean number of segments with decreased perfusion from 6.5 ± 0.06 at rest to 4.19 ± 0.06 with nitroglycerine (P < 0.0001), and decrease in the mean number of segments with absent perfusion from 2.3 ± 0.06 to 0.7 ± 0.03 (P = 0.003). In Group III, there was increase in mean segments with normal perfusion from 2.4 ± 0.5 to 3.2 ± 0.5, decrease in mean segments with decreased perfusion from 3.15 ± 0.5 to 2.35 ± 0.5, and absent tracer uptake from 1.1 ± 0.5 to 0.45 ± 0.3. However, these changes were not statistically significant (P = 0.3, P = 0.4, and P = 0.2, respectively). There was also statistically significant improvement of perfusion in the recipient territories from mean severity score at rest of 2.67 ± 0.08 to 1.6 ± 0.09 with nitroglycerine (P < 0.0001), in territories of poorly collateralized arteries from mean severity score at rest of 1.5 ± 0.14 to 0.8 ± 0.12 with nitroglycerine (P < 0.0008), as well as significant deterioration of myocardial perfusion in donor artery territories from mean severity score at rest of 1.7 ± 0.06 to 2.4 ± 0.06 with nitroglycerine (P < 0.0001). Based on the results of the study, we concluded that nitroglycerine administration in patients with multiple vessel coronary artery disease and well-developed collaterals can reduce myocardial perfusion to the areas supplied by donor arteries, even resulting in apparent absent perfusion, probably due to "steal syndrome," although these arteries were less stenosed angiographically and deemed viable on MPS at rest. It appears that MPS in patients on nitroglycerine medication may result in an inappropriate decision by interventionists and surgeons to forgo revascularization. Hence, in cases where large and severe perfusion abnormalities are noted, MPS should be repeated after omitting nitrates. Selumetinib (AZD6244, ARRY-142886) is a potent, selective, uncompetitive inhibitor of MEK 1 / 2, part of the RAF/MEK/ERK protein kinase signal cascade, which is responsible for tumor. This pilot study was used to explore if 18 F-fluoro-l-thymidine (FLT), a thymidine analogue positron emission tomography (PET) tracer and a surrogate marker for proliferation, can be used as an early predictor of response for patients with solid cancers treated with Selumetinib. FLT-PET scans were performed in four patients at baseline and after 2 weeks of treatment with Selumetinib. FLT uptake in tumors was analyzed qualitatively and quantitatively by measuring standard uptake value (SUV) max in regions of interest (ROI). Results were compared to computed tomography (CT) scans (baseline and after 8 weeks), which were evaluated using the response evaluation criteria in solid tumors (RECIST) 1.0 criteria. One patient with melanoma showed both a qualitative and quantitative decrease in FLT uptake associated with a decrease in sum of longest diameter of 12% RECIST on CT evaluation. Another patient who had colorectal carcinoma (CRC) showed a significant increase in FLT uptake with initially stable, but eventually progressive disease on CT. The other two patients (one with melanoma and one with CRC) showed no significant changes in FLT uptake, whereas CT evaluation showed progressive disease. This is the first report describing changes in FLT-PET in patients receiving Selumetinib. In two patients, changes in FLT uptake as early as after 2 weeks of treatment were consistent with CT results after 8 weeks. Biomarkers to predict and evaluate treatment the outcome of targeted therapies are highly warranted. These initial results need further investigation. In single photon emission computed tomography (SPECT), the collimator is a crucial element of the imaging chain and controls the noise resolution tradeoff of the collected data. The current study is an evaluation of the effects of different thicknesses of a low-energy high-resolution (LEHR) collimator on tomographic spatial resolution in SPECT. In the present study, the SIMIND Monte Carlo program was used to simulate a SPECT equipped with an LEHR collimator. A point source of 99m Tc and an acrylic cylindrical Jaszczak phantom, with cold spheres and rods, and a human anthropomorphic torso phantom (4D-NCAT phantom) were used. Simulated planar images and reconstructed tomographic images were evaluated both qualitatively and quantitatively. According to the tabulated calculated detector parameters, contribution of Compton scattering, photoelectric reactions, and also peak to Compton (P/C) area in the obtained energy spectrums (from scanning of the sources with 11 collimator thicknesses, ranging from 2.400 to 2.410 cm), we concluded the thickness of 2.405 cm as the proper LEHR parallel hole collimator thickness. 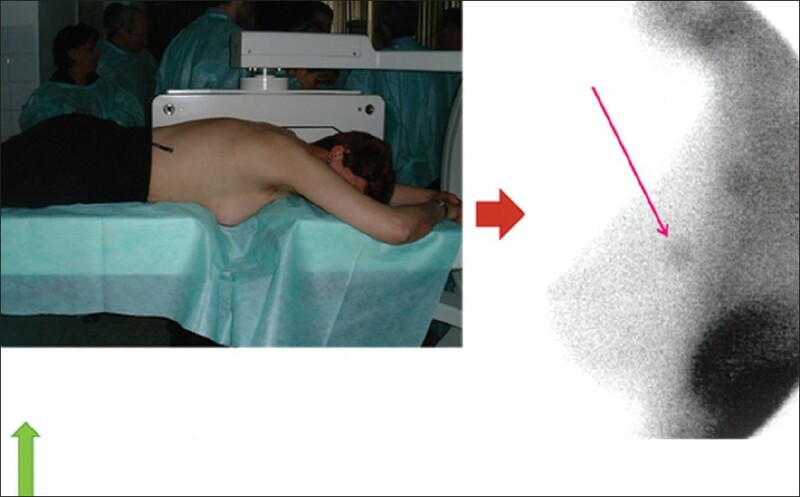 The image quality analyses by structural similarity index (SSIM) algorithm and also by visual inspection showed suitable quality images obtained with a collimator thickness of 2.405 cm. There was a suitable quality and also performance parameters' analysis results for the projections and reconstructed images prepared with a 2.405 cm LEHR collimator thickness compared with the other collimator thicknesses. We present a rare variant of prostate carcinoma. The patient is a 45-year-old male with elevated prostate-specific antigen levels at screening. Magnetic resonance imaging revealed hyperenhancing lesions throughout the axial skeleton. 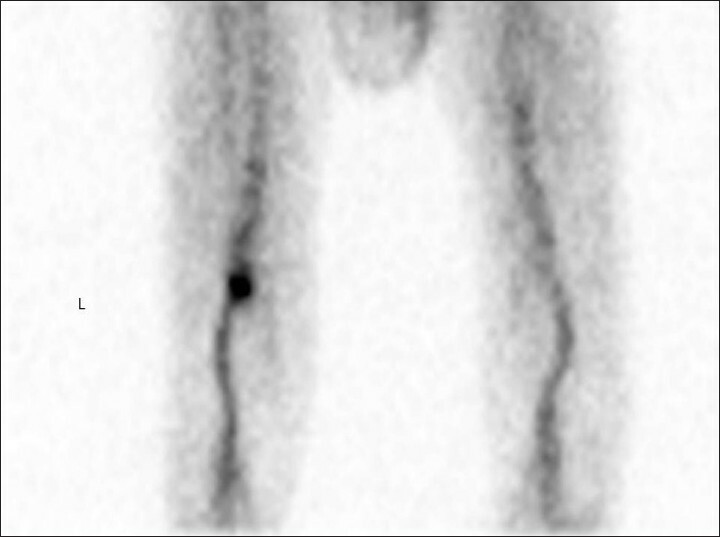 The fluorine-18 fluorocholine (FCH) positron emission tomography/computed tomography (PET/CT) scan showed no abnormal bone findings. Subsequently, a technetium-99 methydiphosphonate (Tc99m-MDP) bone scan was performed, with additional correlative single-photon emission computed tomography (SPECT)/CT imaging of the pelvis and the results were essentially normal. A percutaneous core biopsy of one of the bone lesions in L5 was performed and histology confirmed small cell (neuroendocrine) variant of prostate cancer. 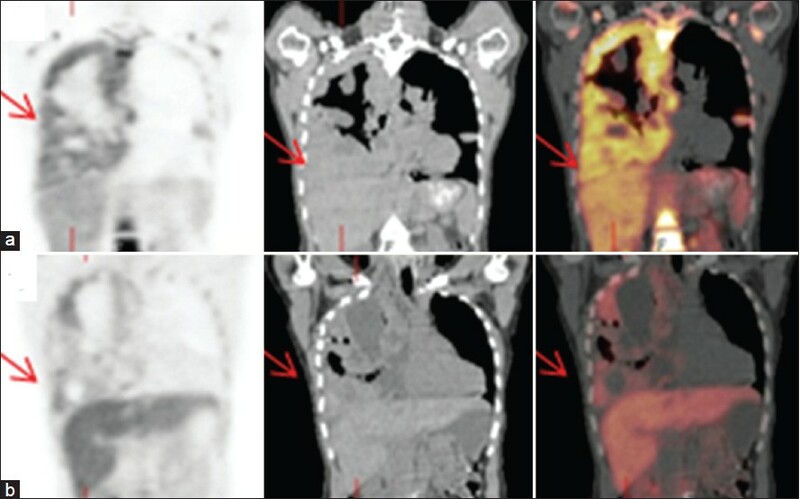 Our case illustrates a possible pitfall in molecular imaging of prostate carcinomas, whereby both bone scintigraphy and FCH PET/CT scans showed no definite bone lesions to correlate with marrow signal abnormalities seen on MR imaging. This highlights the need for caution in the diagnostic evaluation of prostate cancers with known small cell variants. Common causes of unilateral breast uptake of Tc-99m pertechnetate are predominant breast-feeding on one side, mastitis, and breast cancer. Uptake of Tc-99m pertechnetate in the epithelial cells of the breast, like that of iodide, depends on the transmembrane sodium/iodide symporter (NIS), the expression of which is known to be greatly enhanced during lactation and in breast cancer. The authors present an interesting case of predominant left breast uptake of Tc-99m pertechnetate detected incidentally during thyroid scintigraphy, for the evaluation of a nodule in the left lobe of thyroid. Technetium (99mTc) exametazime (hexamethylpropyleneamine oxime, HMPAO) labeled leukocyte scintigraphy is mainly used to exclude occult infection in our institution. On review of previously published article, no case of popliteal venous aneurysm was ever diagnosed and detected on labeled leukocyte scintigraphy. We present a rare case of popliteal venous aneurysm which was detected on labeled leukocyte scintigraphy and was further confirmed with single-photon emission computed tomography and computed tomography fusion.